New Gmail: Update will use tabs, filters to zap email bacn. 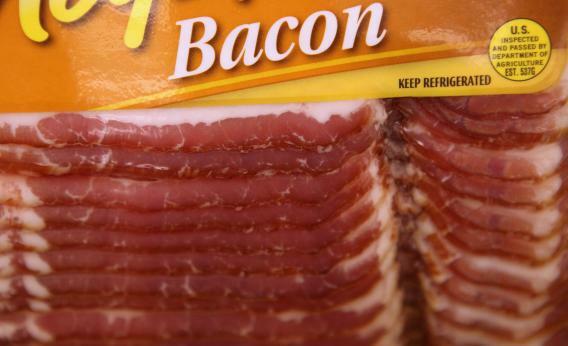 Bacn is like bacon, but less delicious. It’s a dumb word. I’m not sure it’s really even a word. But it’s the best word we’ve got for one of modern life’s more soul-sucking minor inconveniences. Bacn is all the email you get from companies, products, groups, and social networks you signed up for in some moment of weakness and now must pay for by hitting the “delete” button 27 times every time you open your inbox. It’s not spam, because you signed up for it. But in many ways it’s worse, because it doesn’t get caught by your spam filter. Google isn’t the first to try this approach. Mobile apps like Mailbox do something similar, and they do it well. Whether Gmail succeeds in keeping your “primary” inbox full of only the messages you actually care about remains to be seen. But I wouldn’t bet against Google in the long term. Its computers already know a lot about you and your habits. Its machine-learning algorithms are some of the best around. And as The Verge’s Casey Newton notes, it has been quietly working on this problem for a while now with its optional “Priority Inbox” and a “Smart Labels” project in Gmail Labs. Not to mention, if the ad below is accurate, I can also look forward to exchanging my Google+ knitting circle for a pair of new shoes and a hot date.